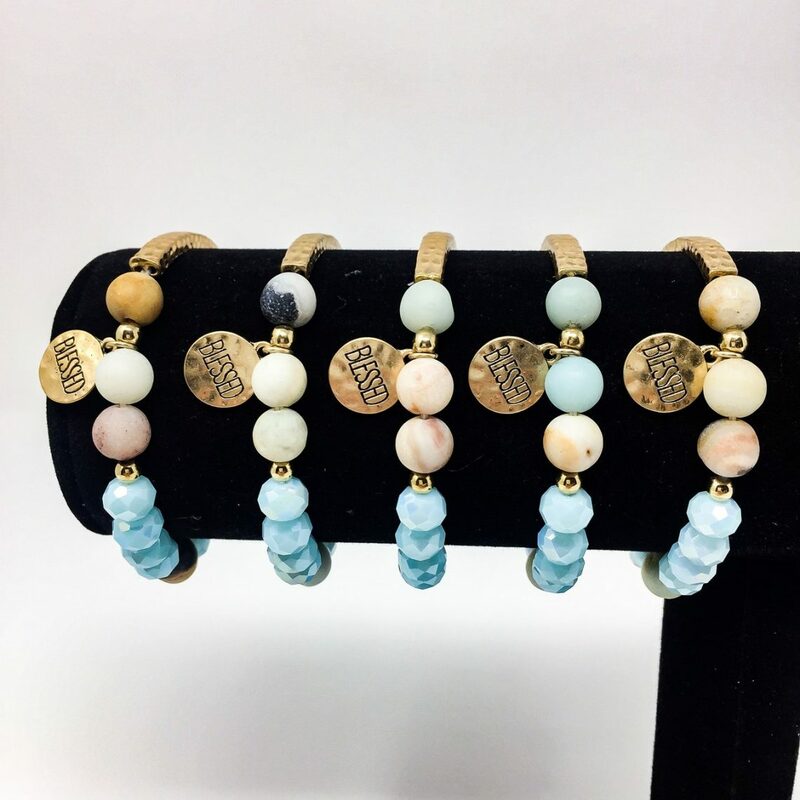 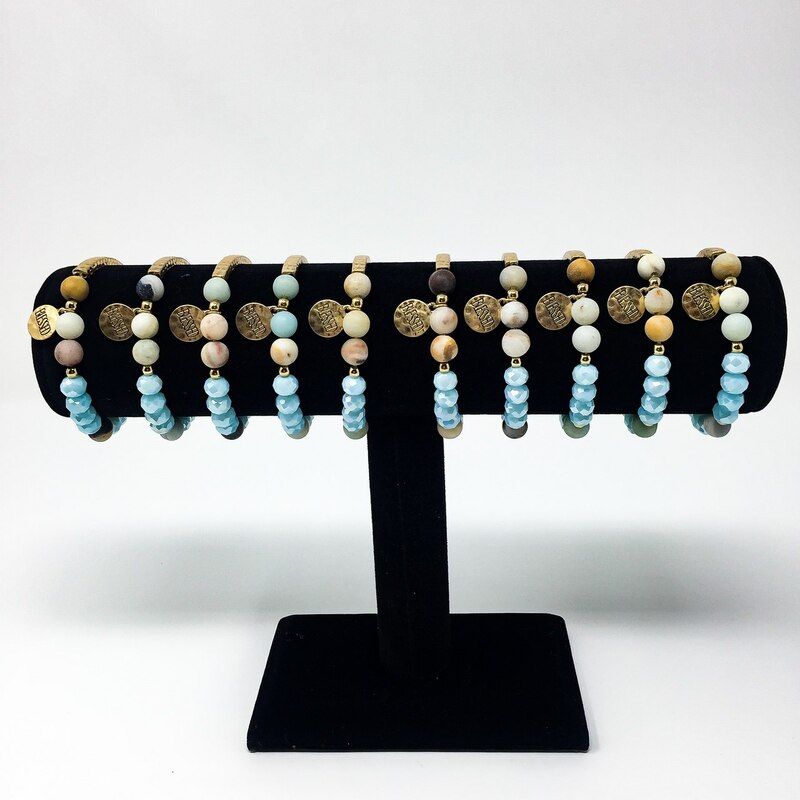 These gorgeous stacking bangle bracelets shimmer with a hammered gold bar and gold charm inscribed “BLESSED”, baby blue crystals, and matte ocean agate mineral beads. 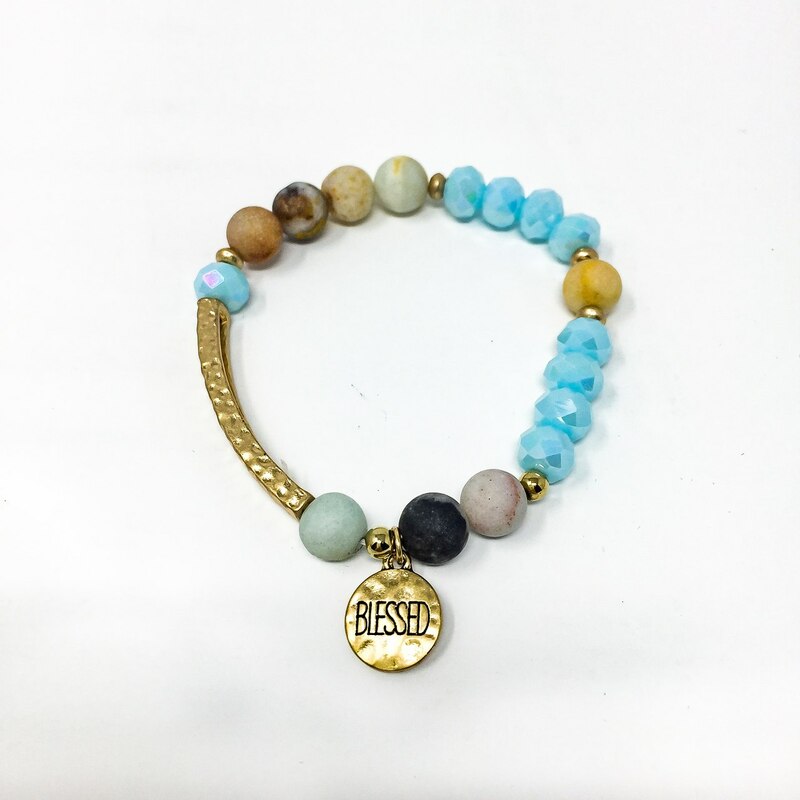 This gorgeous stacking bangle bracelet shimmers with baby blue crystals, ocean agate mineral beads, and a hammered gold plated bar and gold plated charm inscribed “BLESSED”. 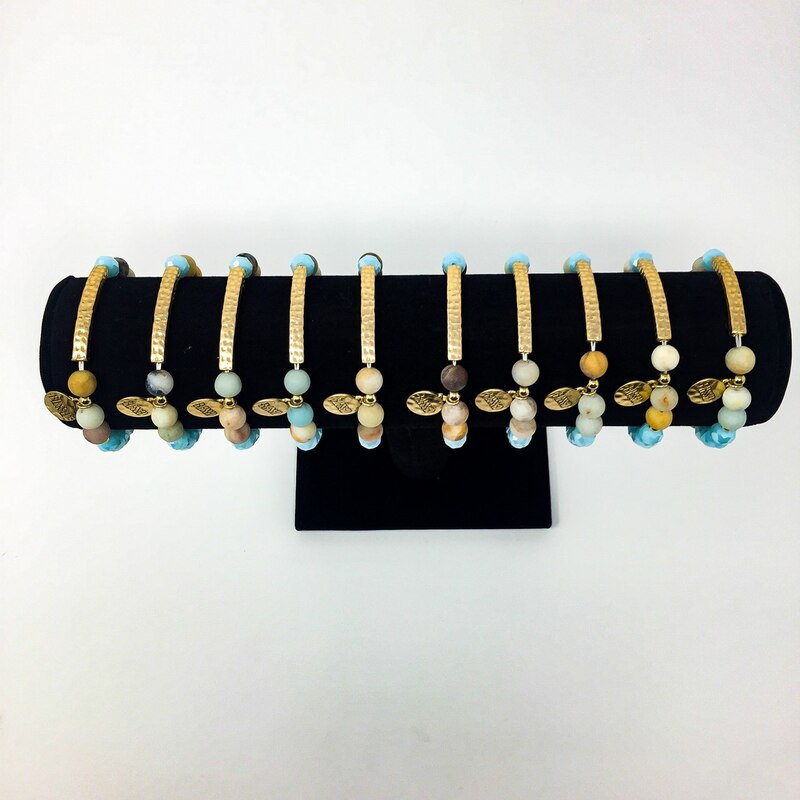 Wear stacked with multiple bracelets for a gorgeous look.